BURNABY — Five double-figure scorers. Just six turnovers in 200 total player minutes. And how about a 52-point second half courtesy of 67 per cent shooting from the field? 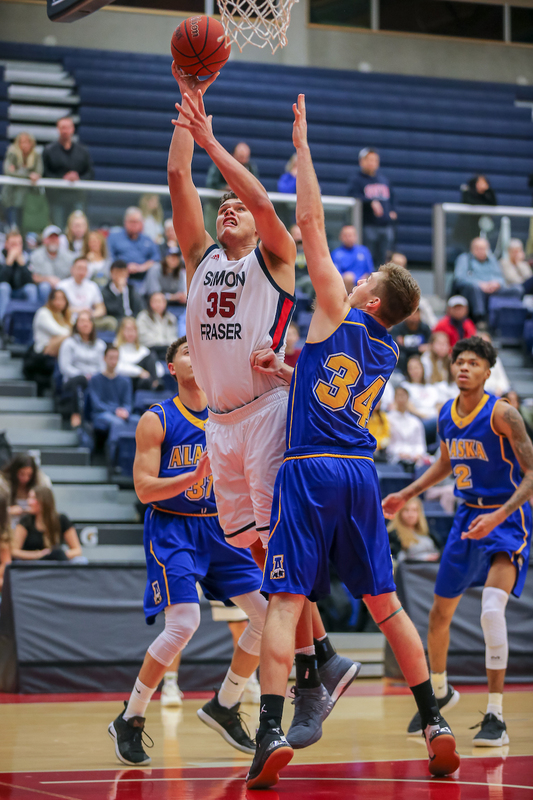 After a disjointed effort Thursday in the opening game of a weekend homestand led to a deflating 74-53 loss at the hands of the Alaska Anchorage Seawolves, Simon Fraser men’s basketball coach Steve Hanson implored his Clan to play more for each other as the Great Northwest Athletic Conference’s regular season reached its midway mark on Saturday night in front of a sold-out crowd at the West Gym. 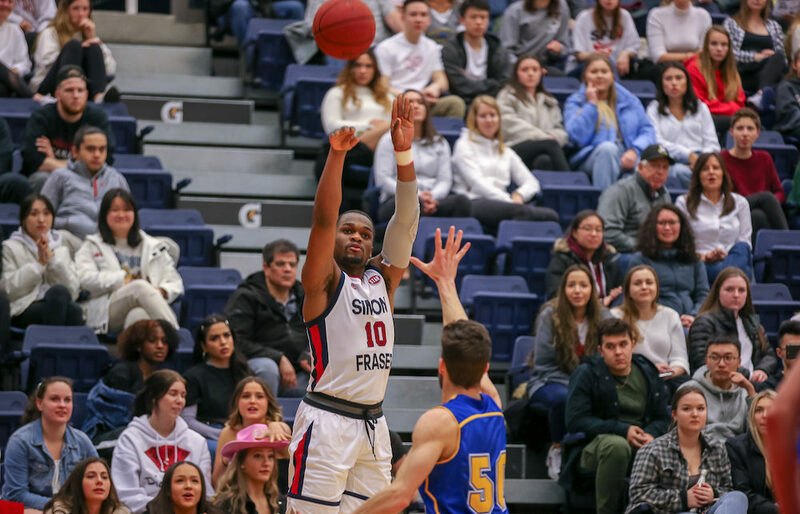 They did, and the result was a decisive 88-58 win over the Alaska Fairbanks Nanooks (4-13, 1-9), a contest which not only gave SFU (9-9, 3-7) its third GNAC Conference win of the season, but its second in the last three games. “We had a lot of good defensive energy and we were able to execute on offence and build a little bit of a lead,” observed Clan head coach Steve Hanson, whose team has 10 more games remaining and sits just one win shy of matching last season’s 4-16 conference mark. Most significantly, it was a team effort in which the Clan shot 59 per cent from the field for the game, and one in which the addition of transfer forward Julian Roche and freshman guard Wilfried Balata has seemingly pushed the program a couple of solid notches up the conference’s pecking order. Balata’s 26 minutes produced 16 points, five rebounds, and four assists, all delivered by the Montreal native with a physical gusto the rest of the GNAC may not have been anticipating from a guy who looks anything but a freshman at 6-foot-4, 200 pounds. It hasn’t been often in the Clan’s NCAA tenure in which they have been able to march an unguardable player onto the court, but against the Nanooks, that’s pretty much what Roche on Saturday. The 6-foot-11 Santa Clara transfer and St. John, NB native, as the receiver in high-low sets, was dynamic off the lob, finishing with 19 points on 8-of-13 shooting. And the best part of his evolving influence in the offence is that he is so athletic, that he’s able to get his hands in the ball in an ever-growing number of ways. The three-pointer he drained came with a feather touch. Of course there was so much more. On a night when the new additions may have taken the spotlight, Clan junior point guard Michael Provenzano was as reliable as he’s ever been. How about a perfect 6-for-6 from the field, including two treys, for 14 points, with five assists and a pair of steals in 24 minutes? And Othniel Spence, his back court partner, whose ankle has been acting a little hellish going on two seasons now, coming back from a forced one-game sabbatical Thursday, and scoring 13 points to go along with eight rebounds? The unsung were solid as well. Forward Jas Singh, bloodied by a Nanooks’ elbow to the head, brought impassioned energy, and the former Delta Pacers’ forward is proving himself to be as important a piece of the front court puzzle as anyone. 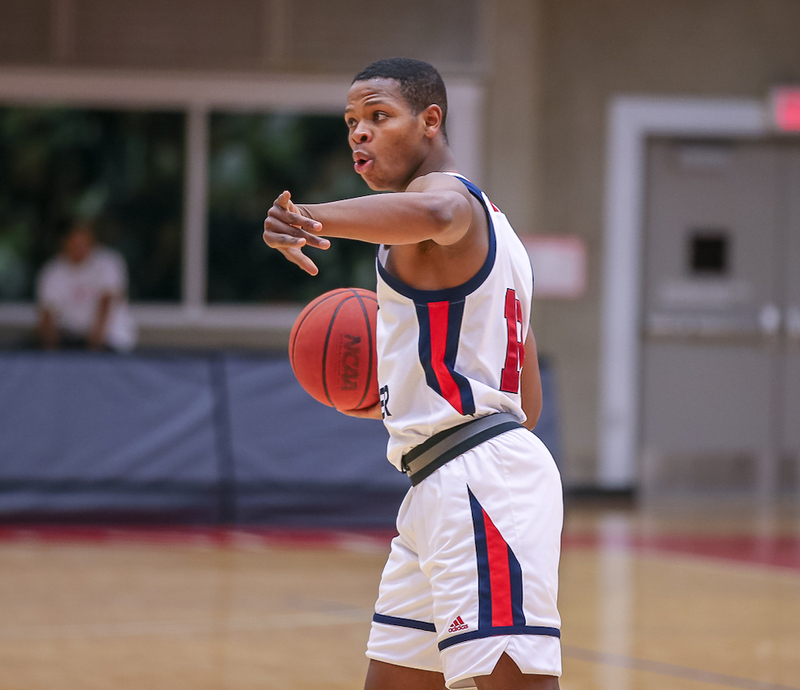 Senior guard Jordan Muir-Keung was, along with Provenzano, a steadying influence on the kind of night in past seasons in which a 20-point-plus lead was still no guarantee of victory. Newcomer Michael Hannan, a junior transfer, has shown enough the past two weeks to earn 20 minutes on Saturday. On first glance, he’s a shooter. On second, turns out he might also be a gritty glue guy. Drew Bryson, who is capable of putting a run of points together as quickly as anyone on the roster, did just that by pouring home 11 points late on 5-of-8 shooting. And then there’s Bongani Moyo, the 6-foot-2 guard/forward with energy to burn. On Saturday, he got his foul count up to three so quickly in the first half that Hanson had no choice but to pull him back to the bench. When he came back on in the second, he kept working just as hard. He played 19 minutes, scored four points, grabbed six boards, including three off the offensive glass. Best thing, he’s all effort, all the time. It doesn’t always turn out for him (four fouls a night is proof of that) but he never stops trying. He’s getting better. He’s the kind of player you pull for. Come to think of it, if you had to pick one guy on the roster to best serve as the microcosm of his team, its would be Bongani Moyo… and perhaps that’s why this 2018-19 Clan team is so fun to watch.